Park Avenue Elementary students will have a new playground to play on this summer. The old one was destroyed in an arson fire in March. Kevin Kurth heard about it the day it happened. Kurth, who is helping construct Park Avenue’s new playground has a special connection to the old one. He built that one, too. The new playground will feature three slides, monkey bars, bells, drums and different kinds of climbers. It will also have a “Drop Zone Tower” – a new feature for Kurth, who has constructed 18 playgrounds over the past six years. 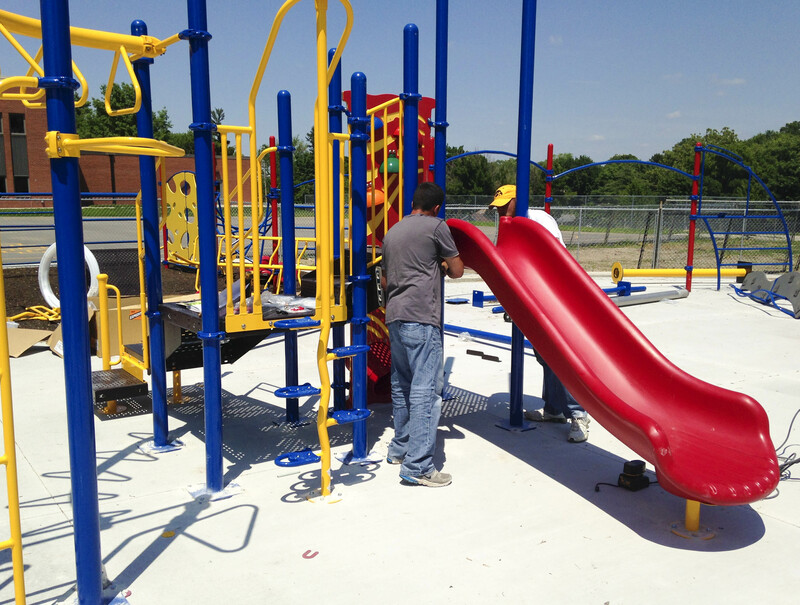 Kurth said they expect to have the playground completed and ready for kids by June 20.